Another dawn shoot at Old Harry Rocks today and I almost nailed the shot that I’ve been after, unfortunately there was a bit too much cloud for the image to be very effective in colour. 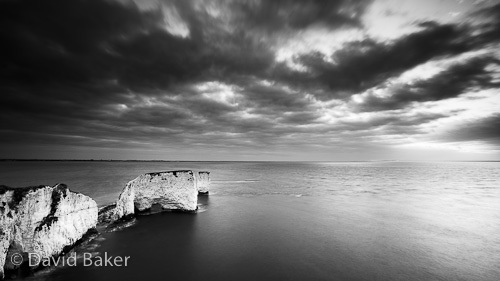 I’ve turned the image to black and white, the contrast works well I feel and the chalk cliffs really stand out from the darkness of the sea and clouds above. ~ by David Baker on 14 April, 2010.